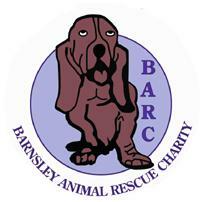 The Barnsley Animal Rescue Charity, Christmas Fayre will be held on Sunday 12th December at the Mechanics Institute, Wentworth from 11am until 4pm. (It’s almost opposite the Rockingham Arms). The day will be opened by our celebrity Patron, radio broadcaster, Simon Hirst from Galaxy FM and, following lengthy discussions with Mrs Clause, Santa will be also paying us a flying visit (12-2pm).